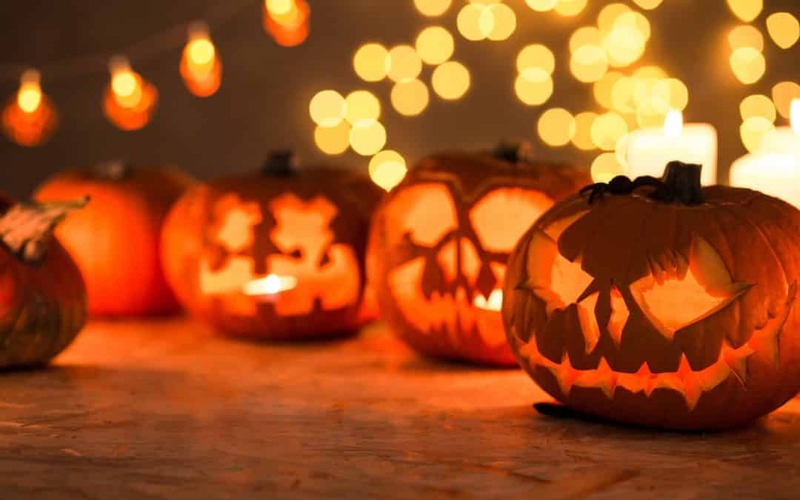 7 Ways to Have a Safe and Spooky Halloween | Awnings And More Inc.
Halloween is at the end of the month and although it’s fun for kids and adults alike, it can also be dangerous, and not just because you might see a ghost! It’s dark and there are a lot of kids on the prowl after those sweet treats they know everyone is handing out. It’s important both for trick-or-treaters and for you to keep your home safe this Halloween. Here are seven ways you can do that. Slips, trips and falls are a real hazard on Halloween for kids who are dressed up in sometimes bulky and vision-limiting costumes. You can help them avoid potential injury by keeping your walkways free of hazards, including ice. Put Halloween decorations off to the side, get rid of any ice, water or snow that could pose a problem, especially on steps. Trim low hanging tree branches and put away anything that people could trip over. You may be tempted to keep things dim to set the mood, but if trick-or-treaters can’t see where they are going, that could lead to mishaps. Make sure your walkway is well lit, your doorway is lit up and you have some lights on in your home to show trick-or-treaters that your house is Halloween friendly. Have your motion activated lights turned on to make sure everyone can see properly while making their way through your yard and if you’re not going to be home, make sure to set your alarm system. Young children in costumes (and often winter wear underneath) and adults who accompany them sometimes need the help of a railing to get up steps. You can help keep everyone safe by making sure your railings are secure so nobody takes a tumble down your steps. There’s nothing quite like the glow of a flickering candle, especially when it is inside a jack-o’-lantern, but open flames are inherently dangerous. Costumes, decorations and various other Halloween items can catch fire far too easily to have an open flame going. Besides, if it’s windy that day, you’ll have to keep relighting it. Go with a battery-powered candle and be safe. 5. Be cognizant of allergies. The big one to think about here is peanut allergies. Check candy labels to make sure you are buying candy that was not made in a facility where it could have come into contact with peanuts. If you are handing out candy that contains peanuts, remember to ask if any of the trick-or-treaters that come to your door has a peanut allergy so you can avoid giving them candy that contains the nuts. 6. Keep your dogs docile. If you have a particularly vocal dog or one that likes to jump on people, it can be scary for children and even dangerous if your dog knocks them down. Keep dogs and other pets securely confined within your home until the trick-or-treating is over. Your pooch isn’t going to understand what is going on and if they are excitable, it could be a nuisance for everyone. Safety on Halloween doesn’t just mean safety for the kids, it also means safety for you and your home. If you’re going to be out on Halloween, park your car in the garage if you’re not using it, make sure your motion activated lights are working and turn on your security system. If you are going to be home, be aware of who you are opening your door to. Set a cut off time for trick-or-treaters and don’t open your door after a certain hour. To make your home even more secure when you are not there, get some roll shutters for the windows and doors. They will stop unwanted people from getting in at any time of year. Contact us to inquire about roll shutters, awnings or shades for your home and Happy Halloween!